Once more August meant it was time for Holoseat’s annual pilgrimage to SyndCon. This year we brought a little more than just our usual upgraded test hardware and presentations. For the first time since 2014 we brought something for the annual charity raffle. 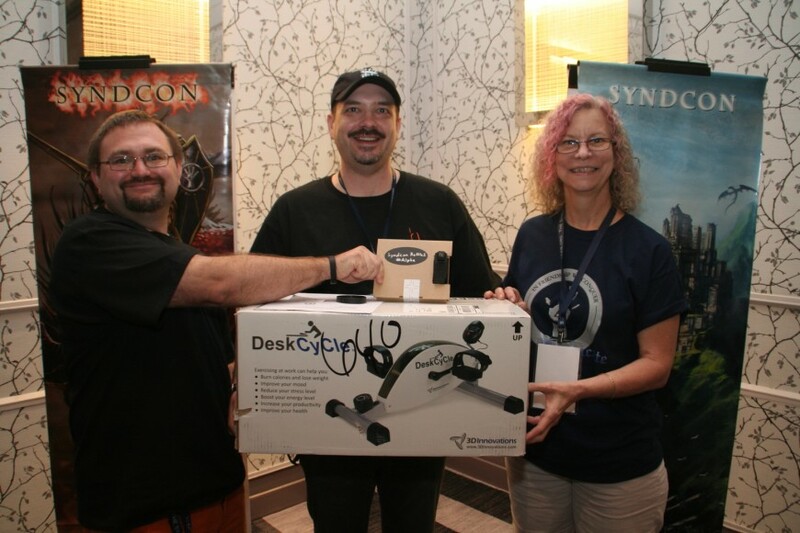 For those of you who are not familiar with the SyndCon charity raffle, it is a convention-long event covering everything from video games to collectibles to gaming hardware. The proceeds go to a great cause, a chapter of the Boys and Girls Club. The culmination of SyndCon is the hour plus raffle drawing with the entire convention gathered round eagerly waiting to hear their names called. It really is a sight to behold. With the launch of the Alpha we felt it was time to get a version back in the raffle. 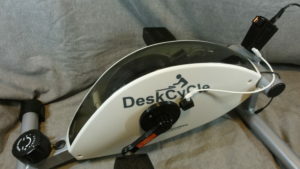 Two Deskcycles, our preferred and at this time only certified exercise equipment, were put into the raffle along with a Holoseat alpha kit for each. We are very happy to report two members snatched up the Holoseats early on in the raffle. Even better, both winners have chosen to join our Alpha test!